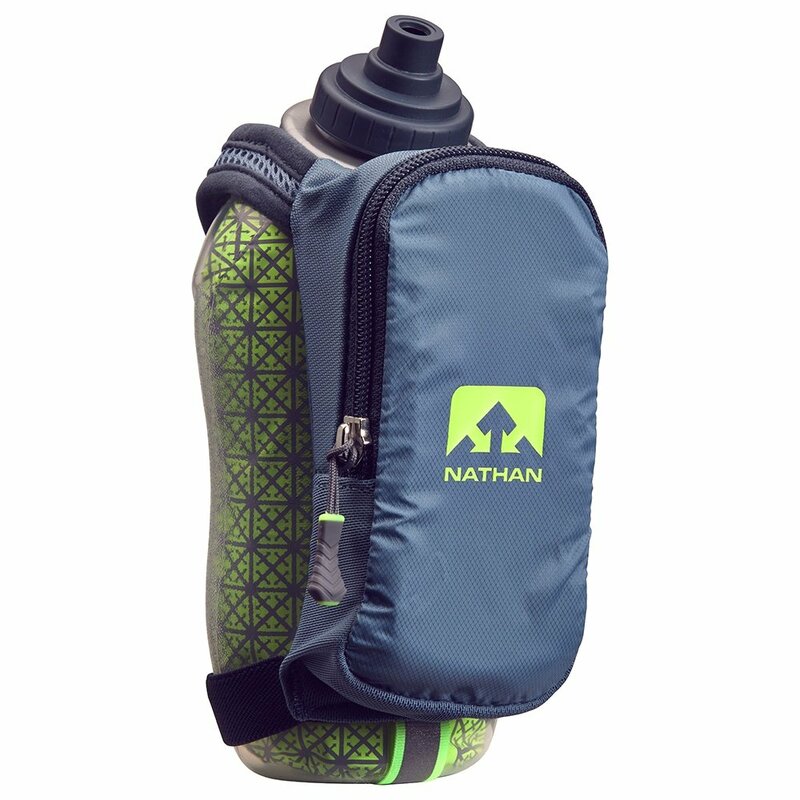 Running with a water bottle is easier with the Nathan SpeedDraw Plus Insulated Running Water Bottle. This insulated water bottle has an attached mesh strap that you can hook around your fingers for easy carry. There's also a pocket built-in for carrying essentials like a cell phone. The SpeedDraw Plus is also removable making it easy to clean both the bottle and the pouch. Average empty weight: 3.9 oz.